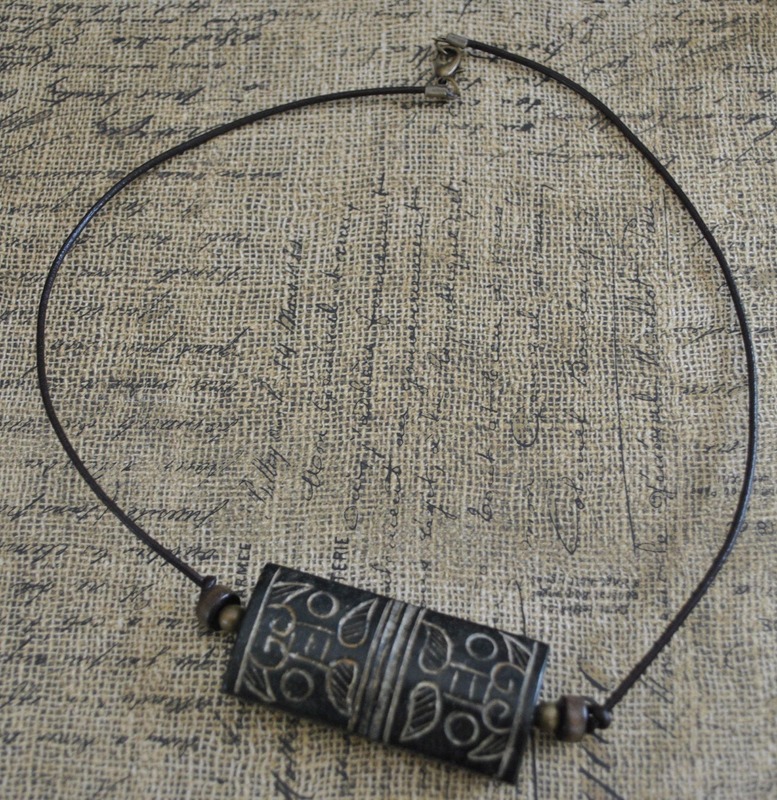 Men's dark brown antiqued jade necklace. 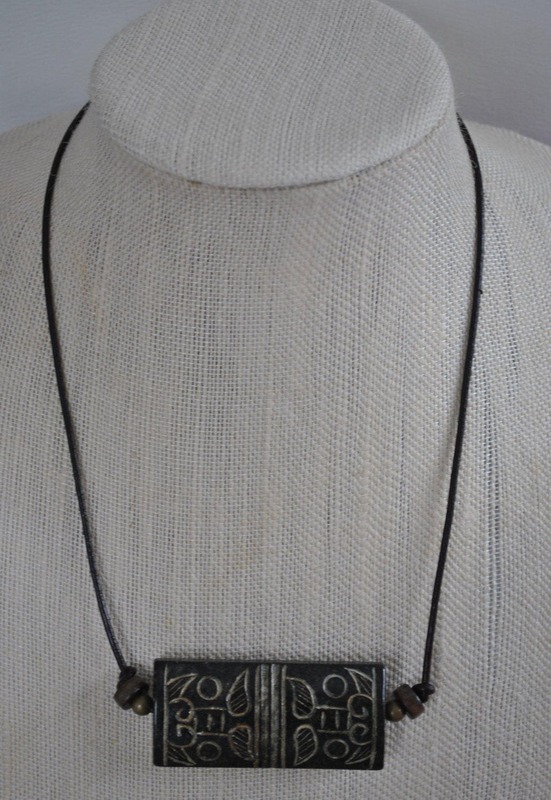 This focal bead on this necklace is fantastic, it is carved on both sides. 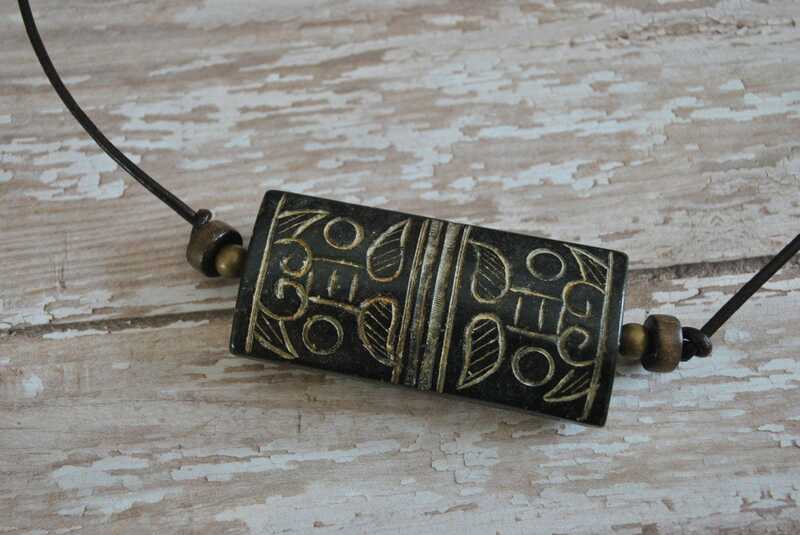 Wooden and brass beads accent the necklace. 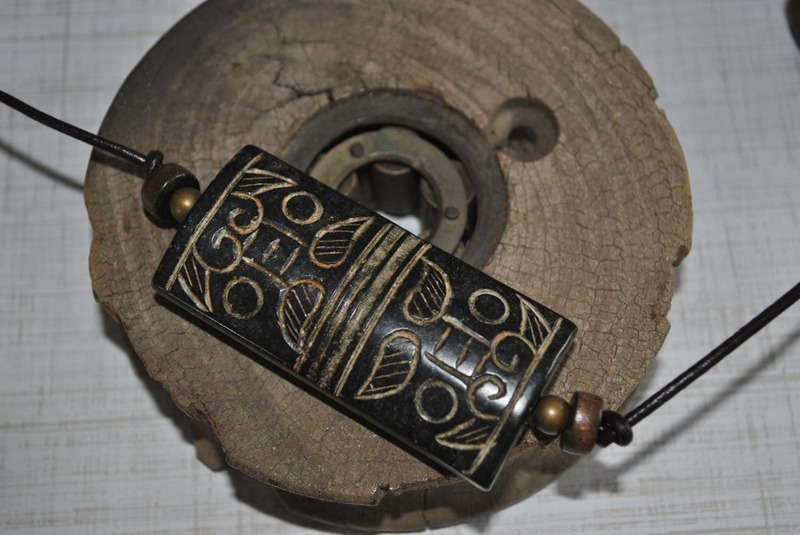 Brass lobster clasp.